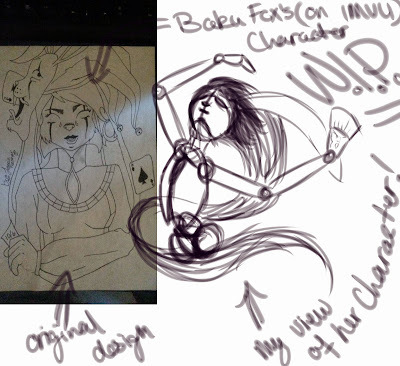 I did get permission from my friend on IMVU; BakuFox, to redraw her drawing. This is just the the basic, rough frame of it, but I hope you all enjoy it! I will be working on it more tomorrow, so stay posted!